No matter if you are a health club owner, personal trainer or medical practitioner, DietMaster Pro will help you transition easily into the weight management consulting business. DietMaster Pro can produce R.D. designed meal plans and grocery lists within minutes, create meal plans from scratch, as well as track weight control goals and produce nutritional assessments. The software also includes a Contest Module, a turn key solution to launch your very own "big loser" type of competition. You can also add your company logo and header to give reports the professional appearance you have been looking for. 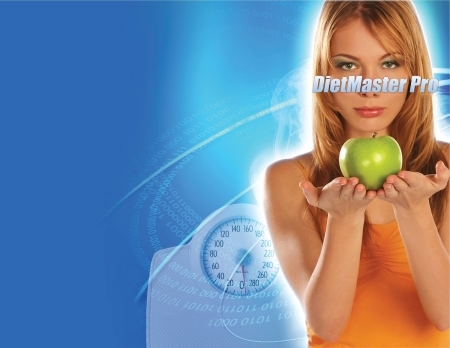 DietMaster Pro Nutrition Software is now available in both PC and Mac editions. A complete line of professional nutrition counseling products addressing the needs of medical practices, health and fitness, wellness and the educational markets. Products include CD-ROM software solutions, Internet based solutions, integrated hardware assessment and mobile device solutions. Gain instant credibility, reduce liability, save time and add value to your weight management services with our newly enhanced collection of RD designed and approved meal plan templates. Each template offering provides ready-to-print balanced meal plans containing a seven day menu rotation. Over 50 to chose from. Templates address the needs of weight loss, fitness and performance, disease prevention, childhood obesity, medical weight loss, special needs and food allergies. Enjoy the convenience and value of selecting from available meal plans designed by a team of Registered Dietitians. After a profile has been created, DietMaster Pro will generate a ready-to-print meal plan and grocery list within as little as three minutes. Adjust meal plans to client personal food preferences by using the exchange feature, Food substitutions list or access to the optional WebLog application. The DietMaster Pro food database includes up to 13,000 food selections including fast food restaurants and popular coffee beverages. If you can't find a food in the database you can easily add your own custom foods by entering the nutritional information from the food label.